Lifetime Update for OneLove Theme!!! 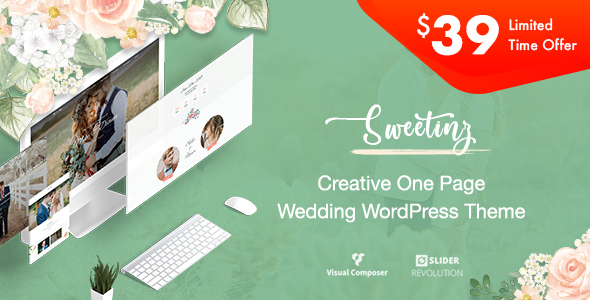 NEW: Sweetinz – A great theme to showcase for couples who want to create their own wedding website without code knowledge. 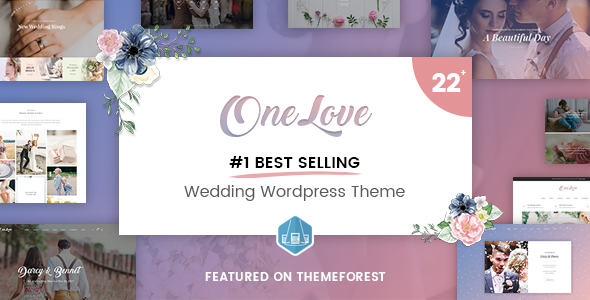 OneLove is an elegant & clean wedding theme with multi-ideas & purposes. With 21 homepages designed for a personal wedding, marriage anniversary, wedding planning agency, wedding planner, wedding shop, wedding blog and any kind of wedding industries. It also helps you connect with your guests, put more info about your wedding events, or even sharing your happy moments to them with RSVP Form, Countdown, Slideshow, Video Slider, Photo Gallery and much more.